Commute in confidence on a great all-round mobility scooter packed with features. Designed for indoor and pavement use, the compact and manoeuvrable Days Strider ST4E is a portable mobility scooter ideal for regular journeys where public transport may be limited. 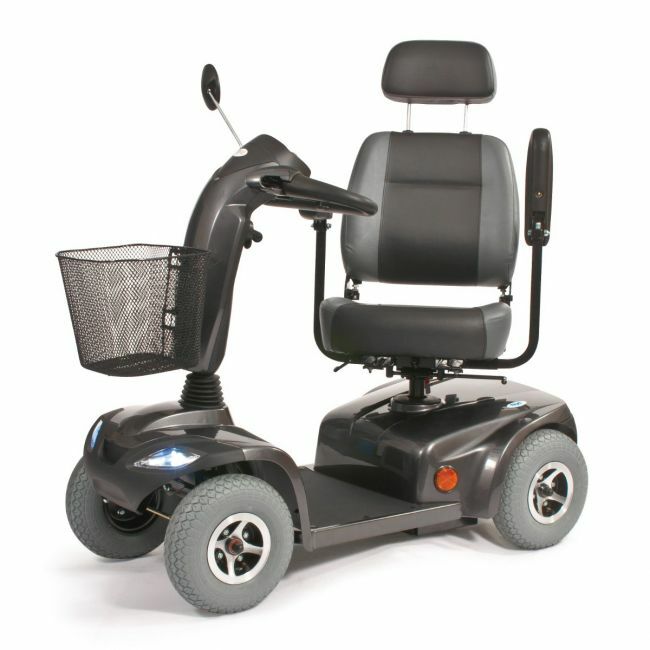 The all-round suspension, increased ground clearance, and large pneumatic tyres provide a smooth and enjoyable ride not found on cheap mobility scooters. With a maximum range of 20 miles on a full charge, the ST4E has more power than any other Class 2 mobility scooter in the range. Users will also benefit from a fully adjustable seat with premium upholstery, an adjustable delta handlebar, and plenty of foot room. When not in use, the frame splits easily for convenient storage and transportation.